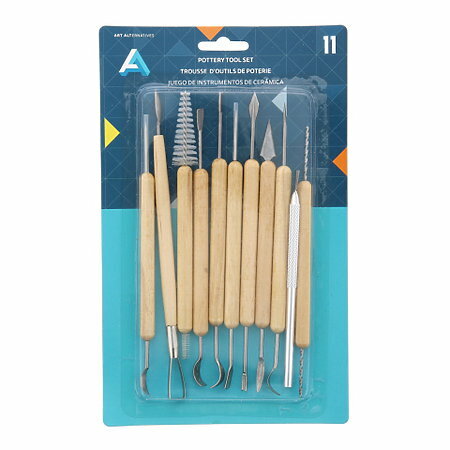 A set of 11 fine tools for clearing, smoothing, shaping and sculpting clay. Great for intricate work, smooth edges, finishing, trimming and adding detail. Each tool measures approximately 7" to 9" long, and has a long-lasting wood handle and durable steel tips. The set includes a salt-and-pepper drill, wire brush, straight needles, double-ended clean-up and lace tools and more.